Greenleaf Book Group Press, 9781626345164, 384pp. 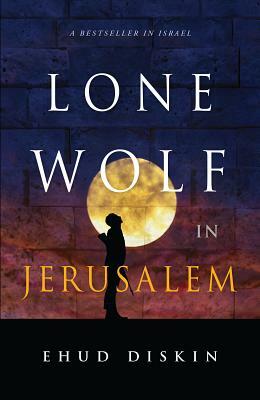 ​Set primarily in post-WWII Israel, Lone Wolf in Jerusalem is a suspenseful, action-packed novel that is a worthy contribution to Jewish historical fiction. Using drama, adventure, and romance, Diskin has created a colorful and captivating story that entertains and educates through the exploits of main protagonist, David Gabinsky. During the war, after losing his family to Hitler's ''final solution, '' young David leads a courageous group of Jewish resistance fighters against the Nazis. When Germany is defeated, he journeys to Jerusalem, to find a new battle brewing. British occupation forces are entrenched in Israel, blocking Holocaust survivors from immigrating to their Jewish homeland. Ehud Diskin was born in Jerusalem. He served as an officer in combat roles during Israel's wars, as detailed in his memoir, Yes, It's Possible, and ended his military career with the rank of colonel. After attending the Hebrew University of Jerusalem, he earned a PhD in business management and became the director of the LIBI fund, collecting contributions from all over the world to provide support for the education of soldiers. Later, he left the public sector and became a businessman, establishing several successful enterprises in the United States.